On 27 October 1914, at Neuve Chapelle, France, and again on 31 January 1915, in Poland, the German army released gas shells against the enemy. In neither instance, however, was the gas assault effective. As a result, the German High Command temporarily lost interest in the use of poison gas. The German army first used poison gas as an effective weapon of war in April of 1915. That spring the Germans wanted to mount limited offensives to keep the Allies at bay while German divisions concentrated their efforts on Russia in the east. The gas assault at Ypres was one of these attacks. The Fortyniner, No. 4, 1916. The Allies developed gas masks as a way to combat chlorine gas and other chemical weapons. The first large-scale gas attack occurred during the Second Battle of Ypres in April 1915. In this cartoon, the artist depicts a masked soldier alerting one of his comrades of an impending gas attack. Although Allied High Commanders had received reports that Germany planned to use poisonous chlorine gas, which causes asphyxiation, as a weapon, it did nothing to warn the troops. With the correct wind conditions on 22 April, the Germans launched their combined gas and conventional assault at the Ypres salient (the ridge of land between the opposing trench systems). 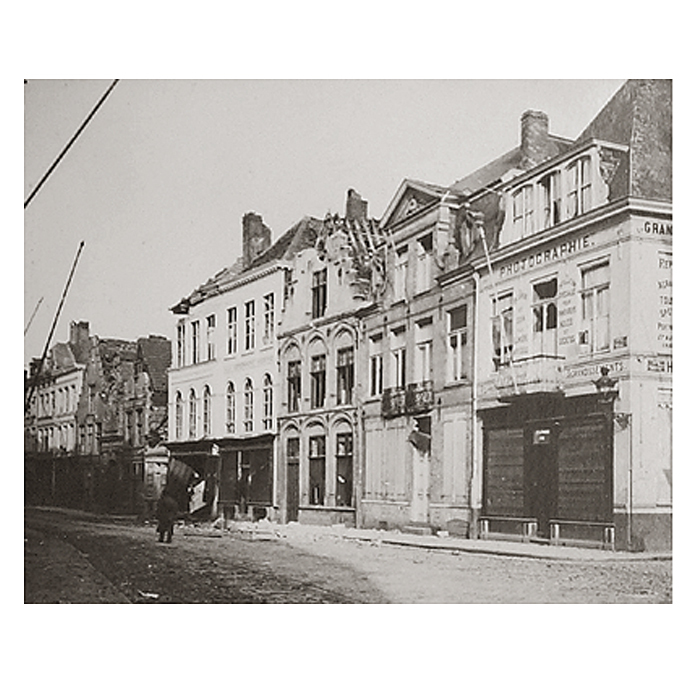 Bearing the brunt of the attack, French colonial troops, who were choking and disoriented due to the deadly new weapon, panicked and fled in the face of the advancing Germans. Victor W. Wheeler, The 50th Battalion in No Man's Land (Calgary: Alberta Historical Resources Foundation, 1980), pp. 11-12. 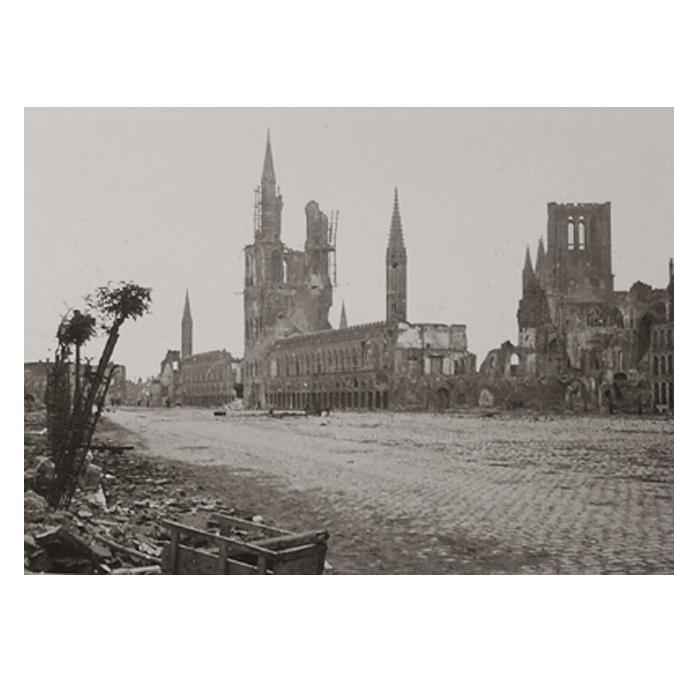 Victor Wheeler's first-hand account describes the horror of the gas attack at Ypres. William Boyd, With a Field Ambulance at Ypres (Toronto: The Musson Book Company Limited, 1916), pp. 47-50. 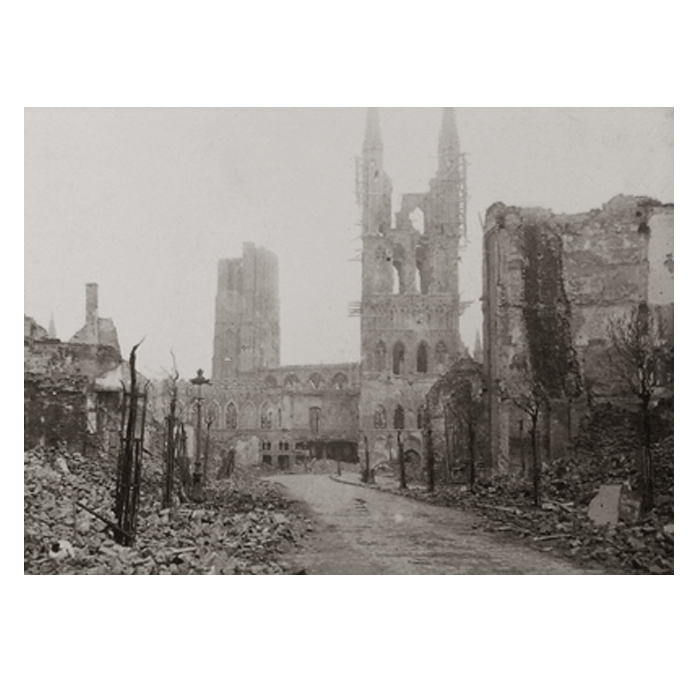 William Boyd, a medical officer, was deeply moved by the plight of Ypres. This excerpt from his war memoir provides his impressions of the devastation. Lieutenant-Colonel John McCrae, Author of "In Flanders Fields." 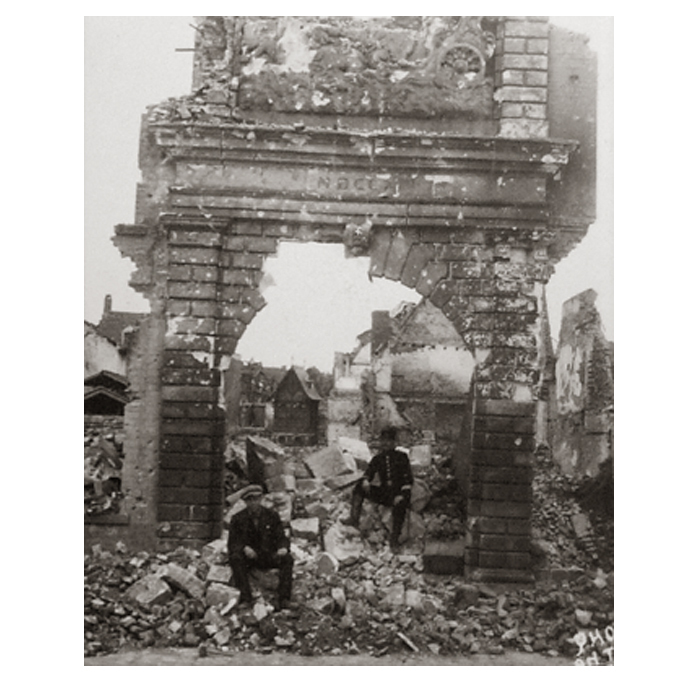 Canadian troops, who formed part of the British front line at Ypres, escaped the initial assault. Thick greenish clouds of chlorine gas, however, soon drifted over Canadian positions. Lacking gas masks or other protection, the Canadians quickly discovered that a urine-drenched handkerchief placed over the mouth offered some protection against the deadly gas. Nevertheless, Canadian casualties totalled more than 6,000. Lieutenant-Colonel John McCrae's brigade lost half its men, including his best friend Alexis Helmer, which prompted him to write the poem, "In Flanders Fields." Dr. McCrae chose the poppy as a symbol of sacrifice in that battle, and it soon became a more general symbol of all Allied soldiers who had made the ultimate sacrifice. David Petrie, interview by Ken Tingley, tape recording, n.d., The Loyal Edmonton Regiment Museum. David Petrie Recalls His Wartime Experiences. David Petrie served with the 49th Battalion in the First World War and its successor, The Loyal Edmonton Regiment, in the Second World War. He first enlisted in Edmonton in 1916 at the age of 20. 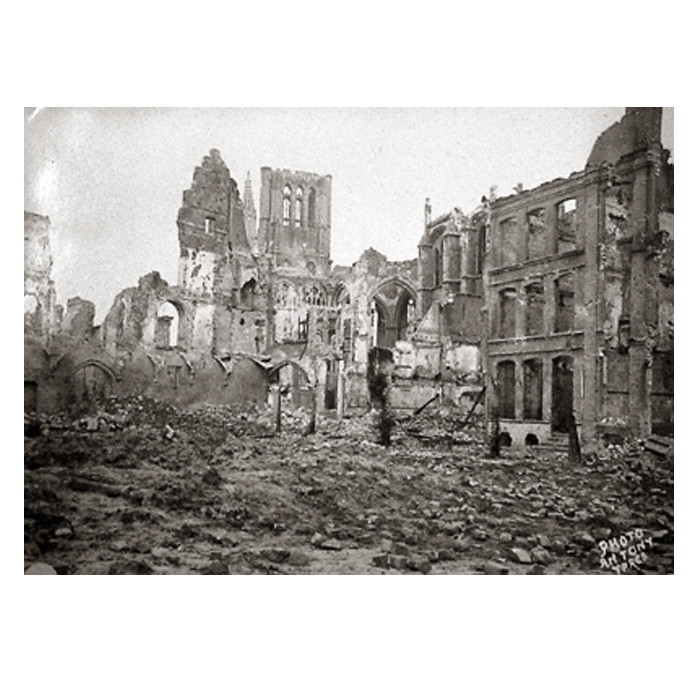 In the first of these two audio clips, Petrie describes how he received his wounds at Hill 60 during the Second Battle of Ypres. In the second, he describes the medical treatment he received immediately following his injury. An aerial view of the centre of Ypres showing the devastation inflicted on the Belgian city by the war. 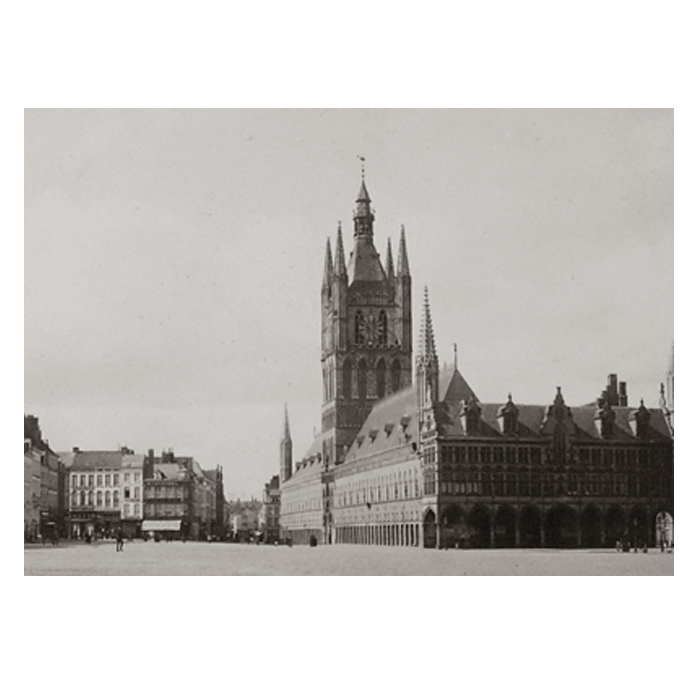 In the centre of the photograph is the famous Cloth Hall, identifiable by its giant belfry, and to its left are the ruins of the Cathedral of St. Martin. 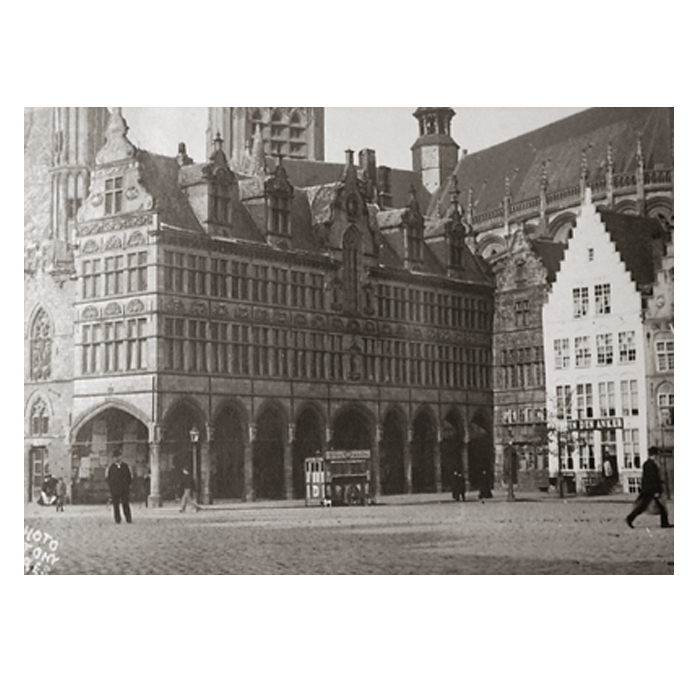 The wreckage of the Hôtel de Ville and the Nieuwerk, a Renaissance-era building, lie at the further end of the Cloth Hall. The Boncherie, a medieval structure that contained the town museum, is in the right foreground. The large space to the right of the Cloth Hall is the Grande Place. 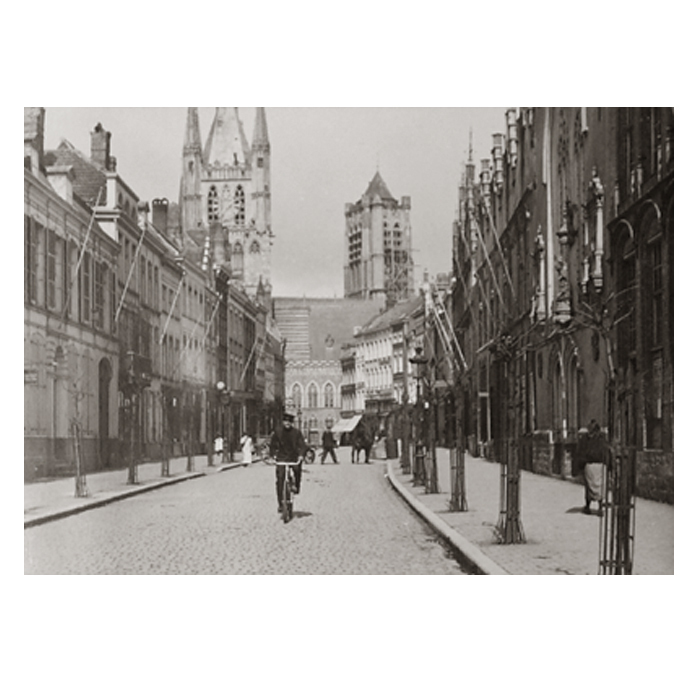 Ypres, Belgium: Before and after the Bombardment. 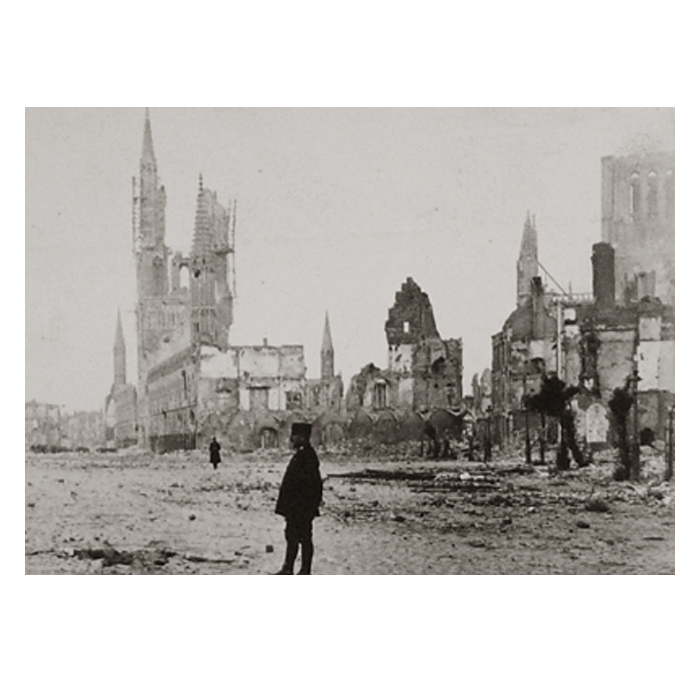 These photographs provide a vivid demonstration of the destructiveness of war. 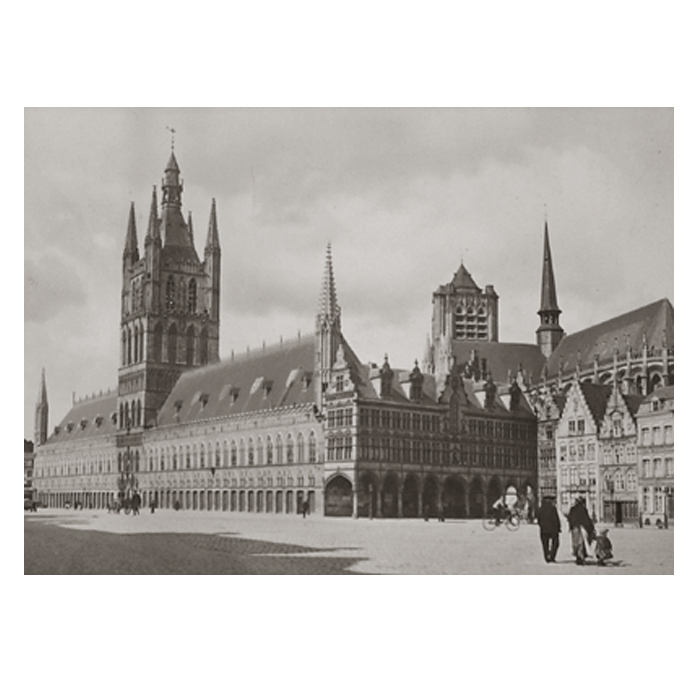 The 1916 bombardment of Ypres razed most of the buildings in the city square, including two magnificent structures dating from the thirteenth century: the Cloth Hall and St. Martin's Cathedral. 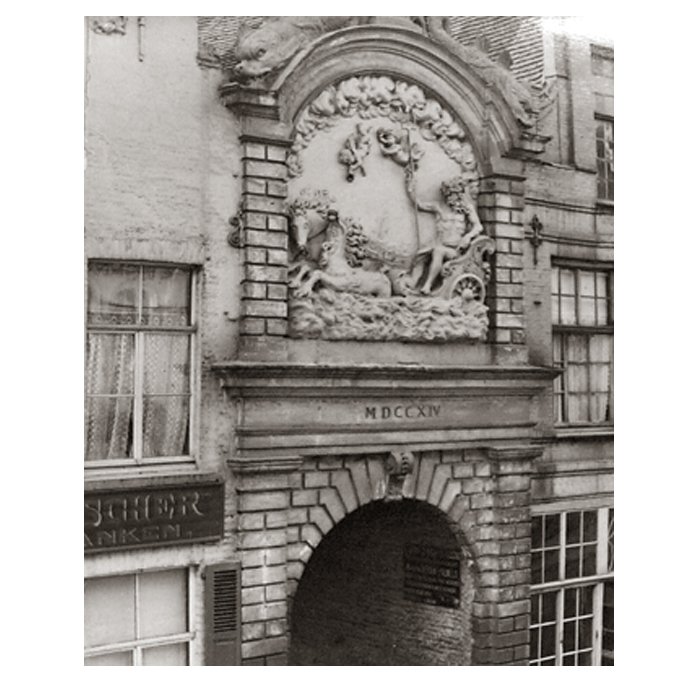 Some of the images show the Grande Place and quiet commercial and residential streets as they appeared in 1912. Alternating with these photographs are images showing these sites in the aftermath of the attacks. Actually, the German command saw the gas attack as a sideshow to the artillery barrages and infantry advance of 22 April. Indeed, Germany did not take full advantage of the surprise the new weapon created: the gas attack had opened a four-mile gap on the Canadian left-flank. 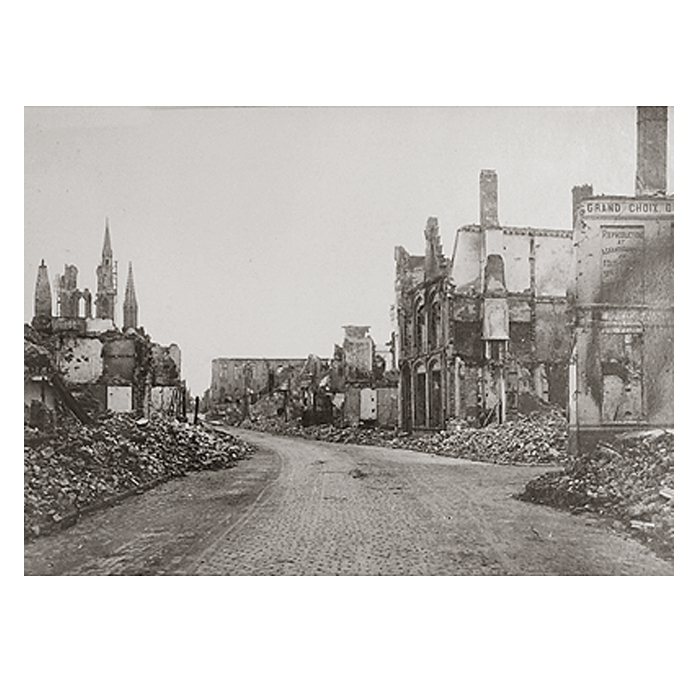 After Ypres, the Germans used poison gas less often. Protective masks and clothing helped make the weapon less effective. The Fortyniner, addendum, No. 6, 1918. "In Flanders Fields," by Lieutenant-Colonel John McCrae.